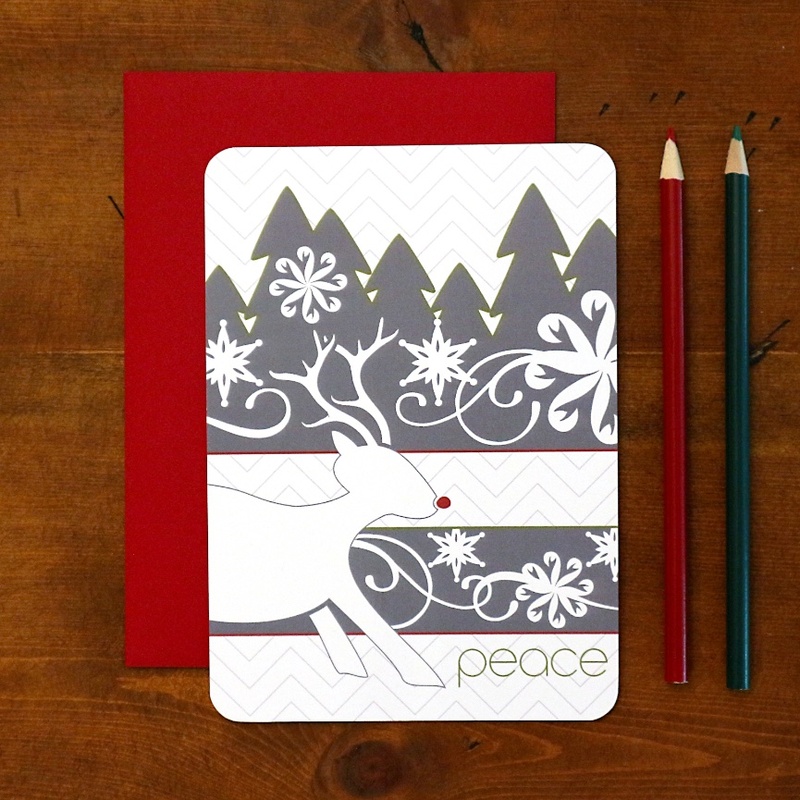 5 x 7" double sided flat card with rounded corners and lines printed on the back to write a personal message. Includes coordinating envelope. Packaged in a clear plastic sleeve.